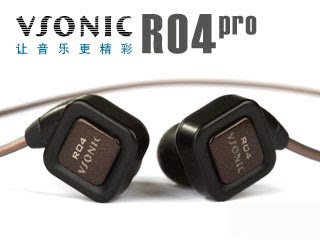 Two years after initial announcement, Vsonic finally has one of its flagship, the R04 Pro, ready for market (the other flagship, R07 Pro, is still as elusive as ever). Beside the fact that it is a dynamic IEM with a swing-able nozzle, there simply isn't much information about R04 Pro at this moment. It was estimated to be around US$75 two years ago, no words on how much it will be now. We will just have to wait and see. For more close-up shots, check this out.